You've Got the Drive. We've Got the Direction! Drivers - Are you looking for a place to call, "Home"? 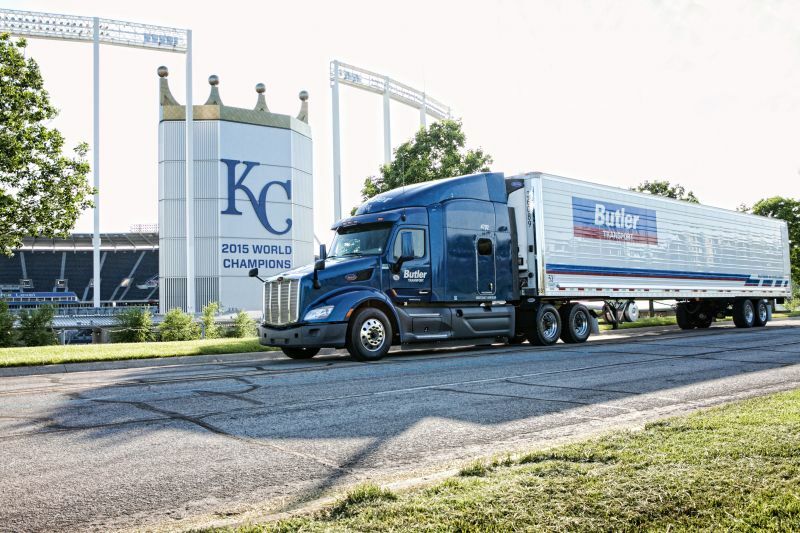 Butler Transport is that kind of employer, one who knows how to treat its Drivers with the respect they deserve, while offering a top-rated pay and benefit program along with a superior bonus and compensation plan that allows its Drivers to earn raises every 60,000 miles up to 55 cents per mile. We also offer the absolute best equipment. In fact, our tractors have an average age of under 2 years and are spec'd for Driver Comfort, Performance and Reliability! If you're serious about getting your career pointed in the, "Right Direction", towards a better future and feel you have what it takes to be one of the, "Best of the Best", you owe it to yourself to join the carrier who is committed to the success of its Drivers. So, whether you're looking for a better work environment, better equipment, more miles, quality home time, passenger program, or pet policy - "We've Got You Covered!" All this and our guarantee to always treat you with integrity to ensure you attain your goals as a Professional Driver. As company founder George Butler recently stated, "I don't know how the other guys do it, but treating our Drivers as partners and measuring their success is how I've always measured the success of my company." Please call us today at (844) 311-7717 or apply online at www.butlertransport.com to take the first-step in finding a place you'll be proud to call, "Home." I have been here for two years I love this company and the way that im treated by my dispatcher. Butler is an amazing place to work. They are a great mid sized company! Big enough to get a lot of miles and small enough to where everyone knows your name. The miles are amazing and my truck is like brand new. They keep you running and the pay checks here have been amazing. In six months my smallest has been just over $600. Definitely give them a shot! Keeps you pre-planned. Great home time and flexibility. Good company. Got me through orientation quickly. Good miles per week and my pay has been right every week. I like their equipment and the people treat me nicely. Yes - Call for Details!